A pro stock tennis racquet is basically the blank paper version (called a hairpin) of a retail tennis racquet. It can be based on the mold of an older racquet or a brand new one. Then pro racquet technicians (for example P1, RPNY, the official pro room of a major tennis brand) customize the racquet by modding the handle, applying silicone inside the handle and lead tape underneath the grommets to achieve the players’ desired weight and balance. 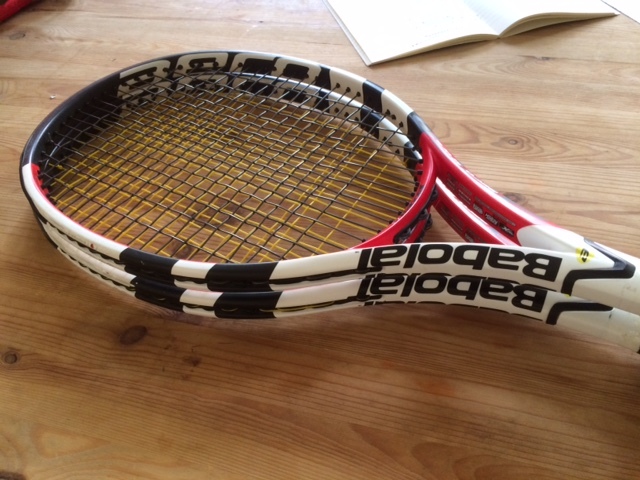 All racquets are then matched to that preferred spec. The racquet does not contain any secret or magical ingredients. The pro’s advantage over amateurs has nothing to do with gear and everything to do with talent, technique and fitness = hours and hours on the practice court. It makes a lot of sense really, a racquet is a very personal thing and there’s no one size fits all solution. If you played with a certain model through your teenage years with success, you wouldn’t suddenly want to change a winning concept. Changing racquets can be a long and painful process and it took me years of going back and forth between racquets before I finally settled on one. And only after adding weight in handle and on the frame and finding a great string for it, I’m feeling completely at peace in my gear (the Prince TexTreme Tour 95 – click the link for my review). Which actually is very important because then the racquet is not a source of uncertainty or something I can blame if I’m playing badly. It’s all in my feet, mind and heart – not the stick I’m waving. Your racquet should truly feel like an extension of your arm so you can focus on the other stuff. 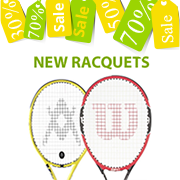 So if you have a racquet you really like or play with but want to squeeze more out of – try to change strings or customize it before you start hunting a completely new frame. And don’t listen to any hype about pro stock tennis racquets. It’s all about the player and the personal connection to the racquet and what he or she can get out of it.